I may be one of the only people in the world that doesn’t like Oreo cookies, but for some reason I absolutely LOVE Oreo Truffles. They could be my favorite dessert. I could probably sit down and eat a whole batch all by myself. I’ve never made them before tonight. Guess what!!? They are SUPER easy to make! 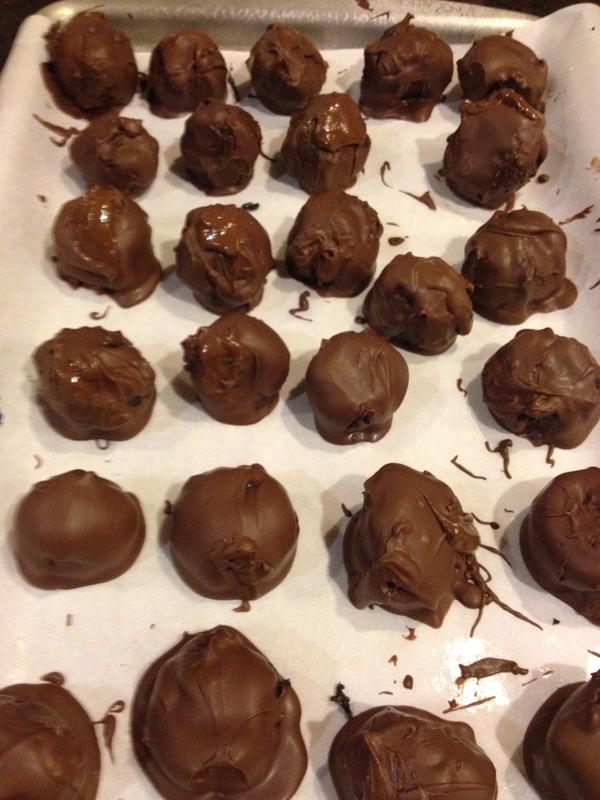 This is the perfect treat to make for your sweetheart on Valentine’s Day! 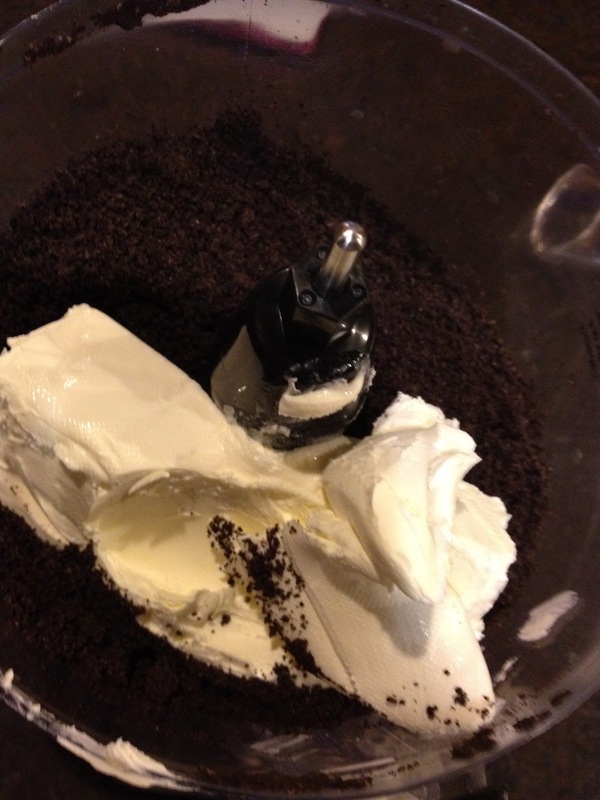 Process Oreos in food processor until they are like powder. 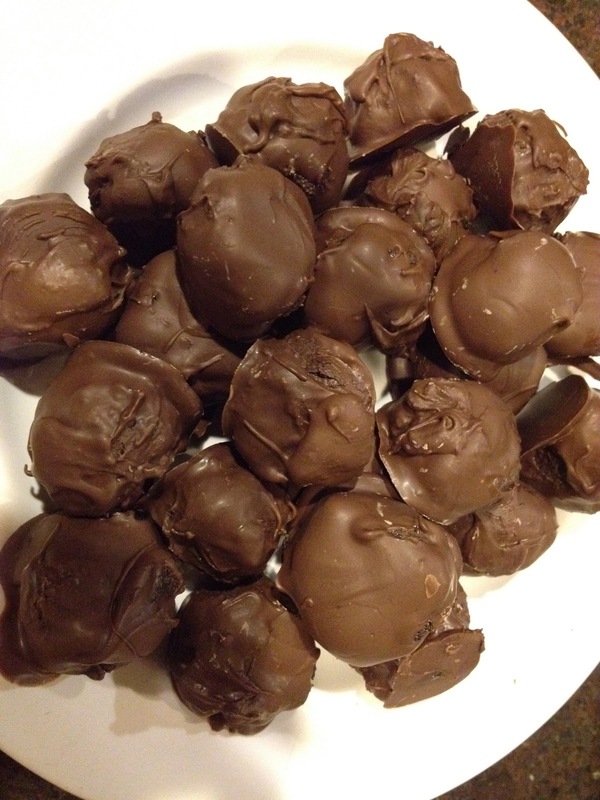 Roll into bite-sized pieces and refrigerate for about 30 minutes…or until cooled. 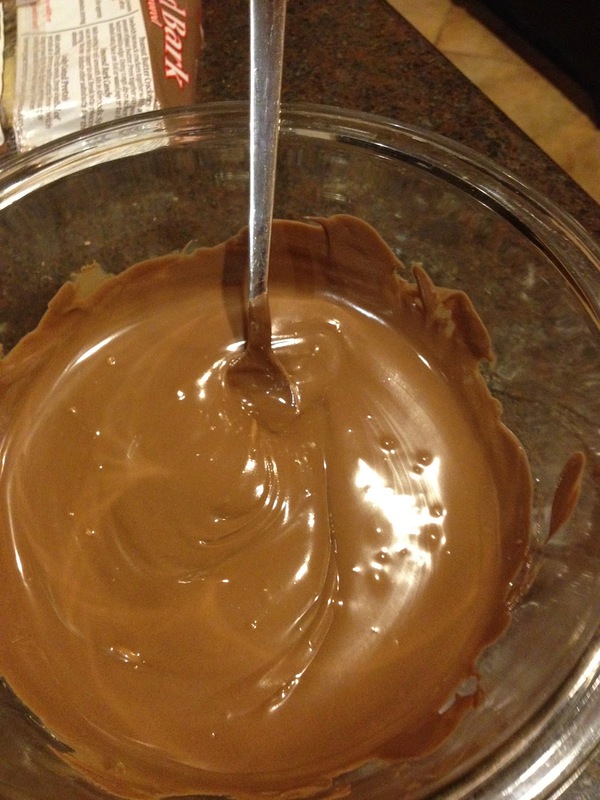 Dip into melted chocolate and put on wax paper. 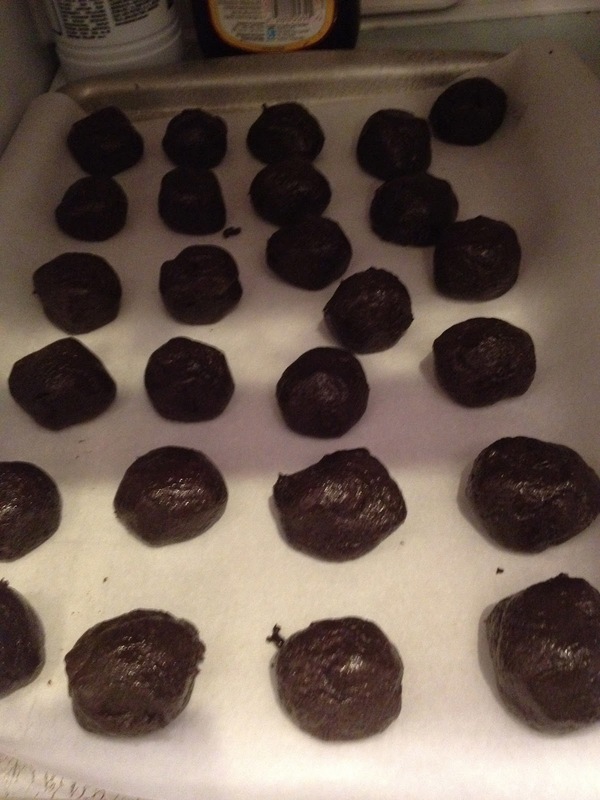 Then place back in refrigerator until cooled. 1 Oreo makes 1 truffle. I obviously need to work on my dipping skills, but they still taste AMAZING regardless of how they look!!! Those look yummy!!!!! I am definitely going to have to make them!!!! 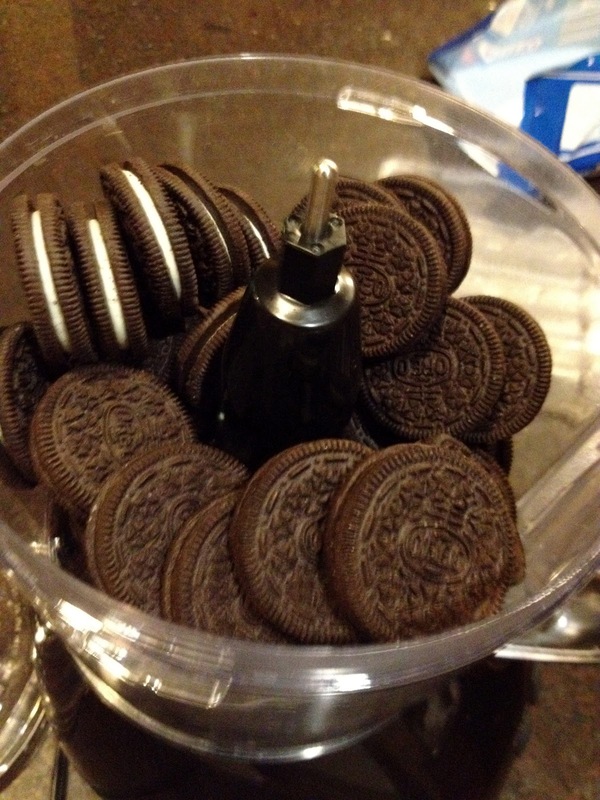 I don't like Oreos either but those look really good. They don't really taste like oreos. I think it's the cream cheese. You should make some for the girls! !